After scoring their first points of the year at Budapest, the AVF team went back in action at the famous Nurburgring venue for the eighth round of the 2018 Formula Renault Eurocup. The squad led by Adrián Vallés showed further performance gains with a double sixth place in qualifying scored by Eliseo Martinez in his group. In race 1, the young Spaniard ended up very close to the points, crossing the finishing line in 12th, less of 2" away from the 10th position. However, bad luck hit him in race 2, as he was forced to retire. Axel Matus ended Saturday's heat in 16th place but crashed after just one lap on Sunday as he was hit from behind by a contender, later penalized for his dangerous maneuver. 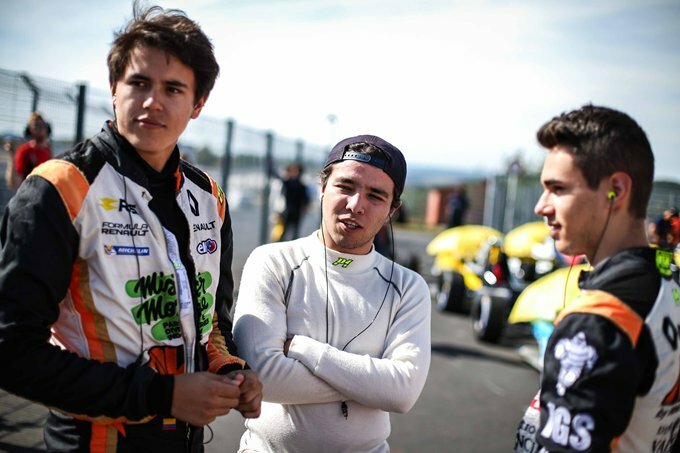 On the other hand, Christian Munoz took home a double 19th position in the weekend, earning more mileage to increase his experience. The next round for the Formula Renault Eurocup will go underway at Hockenheim, another great German racetrack.